Faith and fashion. Two things you can make forever. Wear the notion when you put on Joan's sleek and modern take on timeless devotion . . . and timeless style. Stunning! It sparkles like nothing I've ever seen. OUT OF THIS WORLD !THANK YOU! 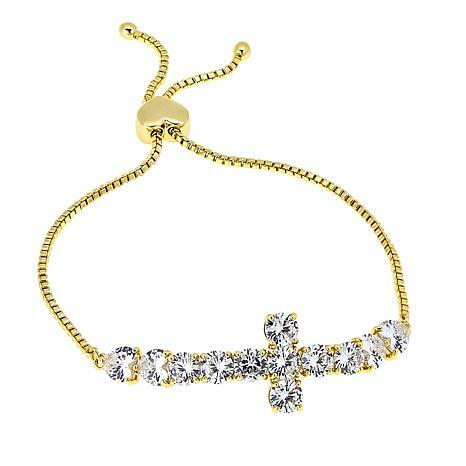 There are a lot of cross bracelets available but this one is so different. Love the hearts at the end of the cross. 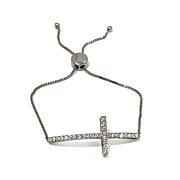 Beautiful bracelet.